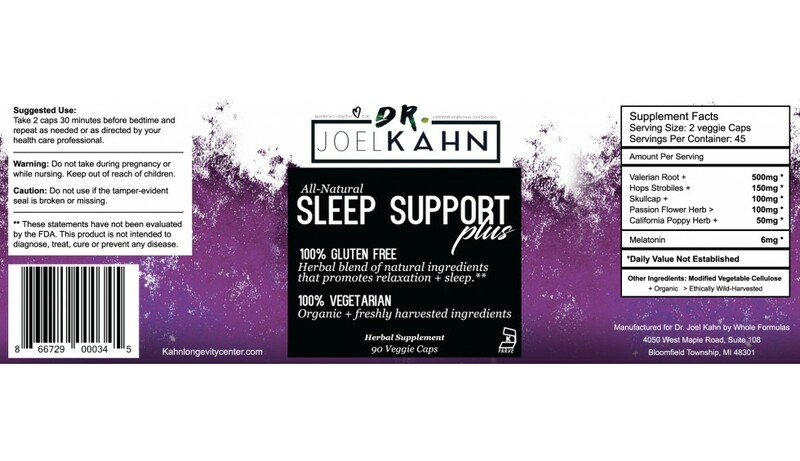 Dr. Kahn’s Sleep Support Plus with melatonin will help you get the rest your body and mind need. 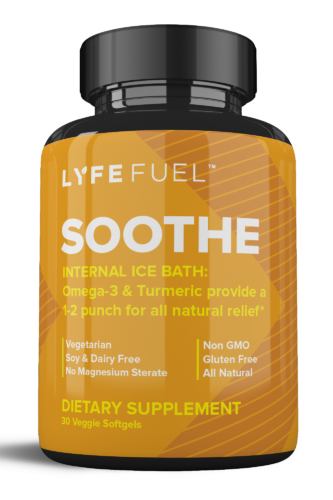 With 5 stress-regulating adaptogens including valerian root, hop strobiles, skullcap, passion flower herb and California poppy herb, this formula will calm your body and aid in restfulness. 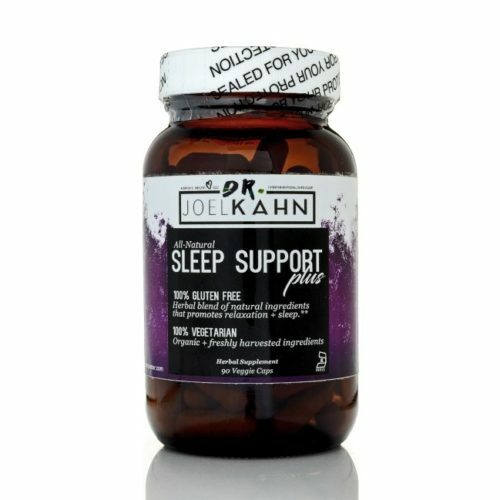 This blend of botanicals is perfect for anyone struggling to get a good night’s sleep. With powerful adaptogens and melatonin, this formula will help you find and maintain deep relaxation. Melatonin is a hormone that your body naturally produces. It is created by the pineal gland in the brain and regulated by your body’s internal clock (circadian rhythm). Ideally, your melatonin levels increase in the evening (around bedtime), and stay elevated throughout the night so that you are able to maintain a restful slumber. Those whose internal clocks are not in sync with their sleep schedules may experience insomnia or difficulty sleeping. Valerian root is an adaptogenic herb, meaning it helps the body adapt to internal and external stressors. This herb has been used in ancient medicine, and is the root of a flowering perennial plant that is native to Europe and Asia. This special herb may also help those who suffer from sleeplessness. Valerian root increases GABA (Gamma-aminobutyric acid) levels in the brain. GABA helps to regulate and reduce nerve activity, so increases GABA levels may help those who are anxious and restless. 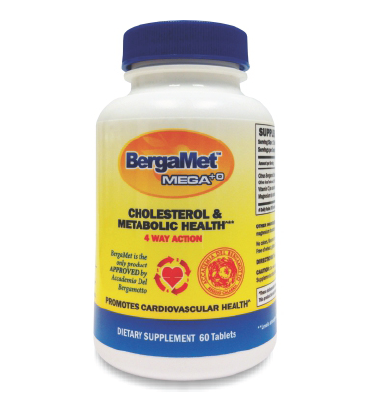 For best results, take 1-2 capsules about 30 minutes before your bedtime. 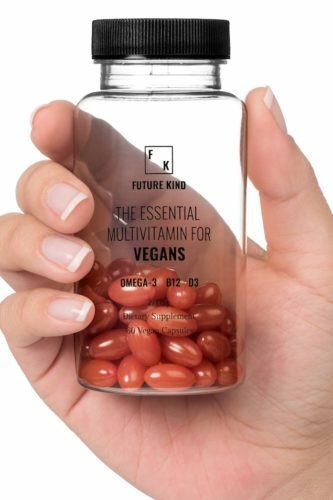 Dr. Kahn has worked in cardiology since 1983 and, after discovering plant-based nutrition, made it his mission to heal his patients and prevent disease with real food, proper nutrition and education. Suggested Use: Take 2 caps 30 minutes before bedtime and repeat as needed or as directed by your healthcare professional. 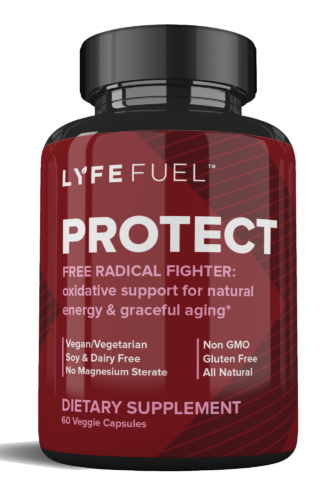 Buy at Lyfe Fuel with Dr. Kahn's 15% Discount!